John Karpinsky created these stunning Star Wars Día de los Muertos (Day of the Dead) art series. Somehow Karpinsky manages to beautifully combine Star Wars and the distinct artistic style of the Day of the Dead sugar skulls. “Día de los Muertos (Day of the Dead) is a Mexican holiday celebrating the dead. 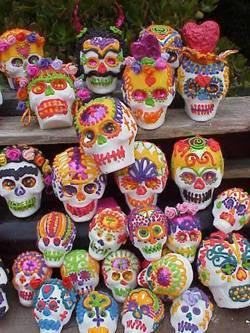 Sugar skulls are often created in the image of the dead, inviting them to enjoy a celebration and feast.